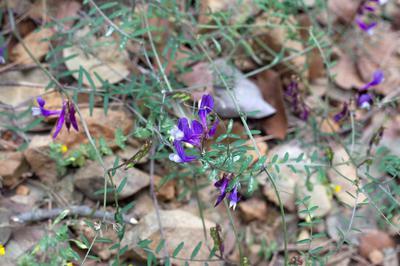 Following on from two other Cyprus vetch pictures on your site. These pics were taken in Cyprus on 15th April 2014 in the Paphos Forest part of the Troodos mountains near the Mouflon Enclosure at Stavros tis Psokas. The plant grows prolifically in partial shade. You have one picture of the species, named as V casia, but I cannot trace the name in Blamey/Grey-Wilson or Polunin/Huxley though I may not have the most recent additions. You also have a picture of a scarlet lowland vetch under this name so I am confused. Can anyone clarify the nomenclature? Sorry I can't clarify as to the nomenclature. 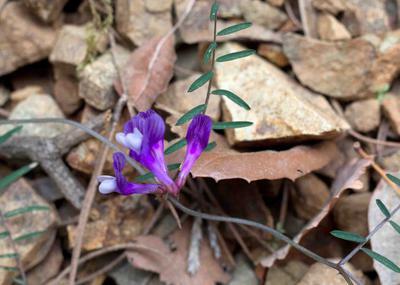 The other vetch pictures were submitted by some of my visitors to the site and I'm not an expert on the many different varieties in Cyprus. Join in and write your own page! It's easy to do. How? Simply click here to return to Pictures of wild flowers.